The Price of Everything, a documentary directed by Nathaniel Kahn that had its world premiere at the Sundance Film Festival (until 28 January) and was recently acquired by HBO, takes on the contemporary art market’s surge and the parallel career of an artist who was left behind for years, while prices for his peers lurched upward. 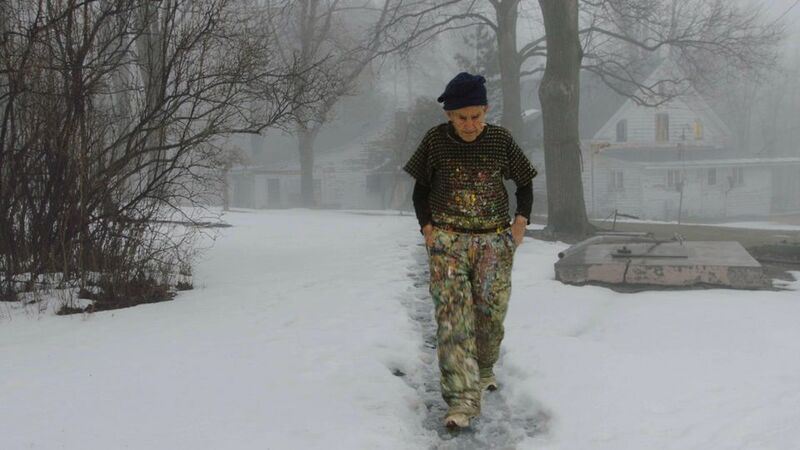 While the painter Larry Poons, 80, is the film’s hero, there are no real villains. Kahn chats with the art advisor Amy Cappellazzo, now at Sotheby’s, who swaggers as she chases and promotes consignments. He also visits the affable Chicago collector and philanthropist Stefan Edlis, whose walls are covered with the most branded works. “Art and money have always gone hand in hand,” explains the former auctioneer Simon de Pury. “It’s very important for good art to be expensive. You only protect things that are valuable. If something has no financial value, people don’t care.” Jeff Koons, in his spacious studio, talks of a new $25m-$30m commission. Newcomer Njideka Akunyili Crosby watches uneasily as one of her paintings disappears at auction. If the film is not quite an accusation, it is a reality check of the heated market. The director, the son of the architect Louis Kahn, bonds with Larry Poons, an outlier who retreats to a farmhouse in the woods—but also watches his abstract work regain recognition. Sometimes persistence pays off. Also premiering at Sundance is the bio-doc Kusama-Infinity, a portrait of the Japanese artist, famed for her dots immersed in colour, her activism, and her longtime residence in a mental hospital in Japan. The first-time film-maker Heather Lenz shows how Yayoi Kusama struggled for recognition in her younger years—Kusama’s mother even urged her daughter to abandon art and marry a rich man. In the 1950s, Kusama decamped for New York, unwelcoming to women artists then. She moved in circles with Donald Judd and Eva Hesse, and eventually with Andy Warhol, whom she accused of poaching her work and ideas. Joseph Cornell was a platonic intimate who sent her multiple love letters daily. While a few critics praised her work, others called her a self-promoter. 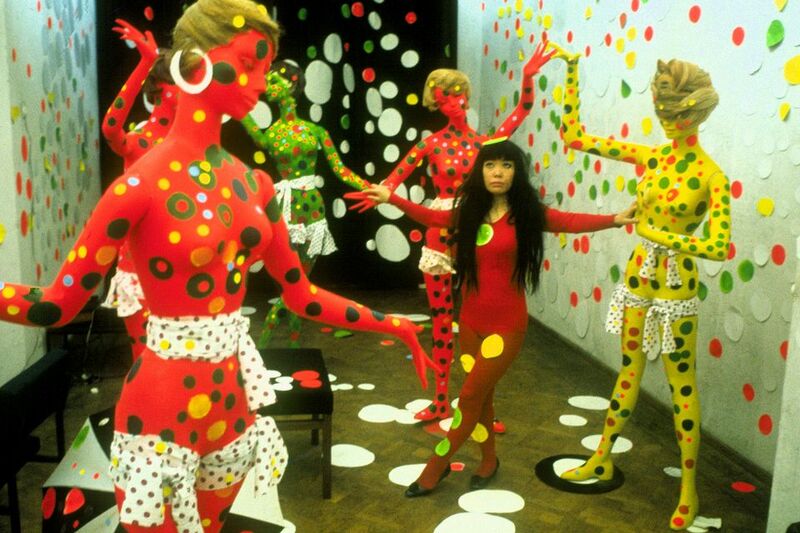 Kusama attempted suicide by jumping out of her studio window, but survived. Feeling anonymous and alone, she fled to Japan in 1973, where her native town of Matsumoto spurned her. Considering suicide, she entered a mental institution, yet artists later rallied around her, and her peers gave her a solo-woman show at the Japanese Pavilion in the 1993 Venice Biennale. The documentary omits many details, but stresses Kusama’s reemergence and her broad popularity, evidenced by sold-out shows in Washington, DC and Los Angeles. Despite the gaps in storytelling, this is likely to be the only new film to be created with the 88-year-old artist’s input, and is readymade for Kusama’s already-adoring audience worldwide. Making his debut at Sundance with Hale County This Morning, This Evening is the photographer and emerging film-maker RaMell Ross. A promising college basketball player whose career was cut short by injury, Ross met the subjects of his film and their families as a coach and began taking their pictures, then filmed them. The scenes of Ross’s feature-length documentary are distilled from 1,300 hours of film and often look like still photographs set in motion. The film brings us the people and the atmosphere of a county where African Americans are in the majority and are mostly poor. Following the lives of two young men, Ross lingers around schools, at family homes, at church and at the basketball court, filming endless flat cotton fields and barren expanses as he moves from one encounter to the next. Sometimes the tone is languorous, sometimes elegiac. 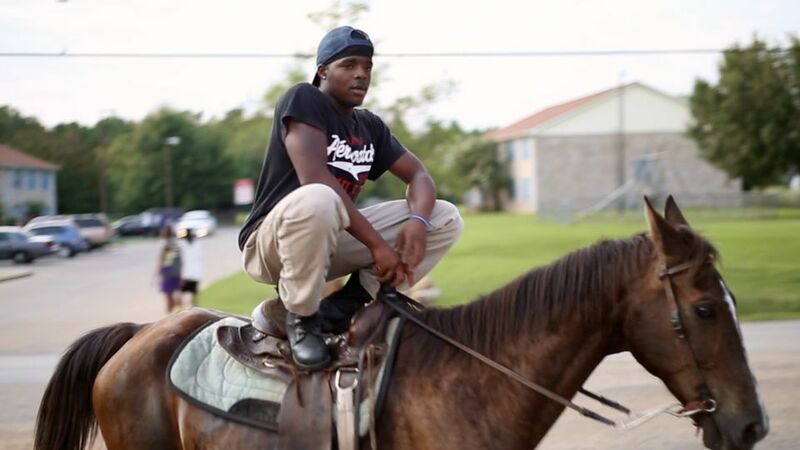 Scenes are so loosely connected that Hale County feels like a lyrical work in progress, and it’s a promising one. As a photographer, Ross feels his way through moving pictures, and there is a sense of more ambitious work to come from him. Still photographs are also at the origin of Generation Wealth, a documentary by Lauren Greenfield that observes the grotesquery of the privileged and coddled around Los Angeles. Without stating as much, the film is a powerful argument against the new US tax cuts that give the rich more money. An exhibition of photographs documenting Greenfield’s 25-year project to document wealth and excess just closed at the International Center for Photography (ICP) in New York. 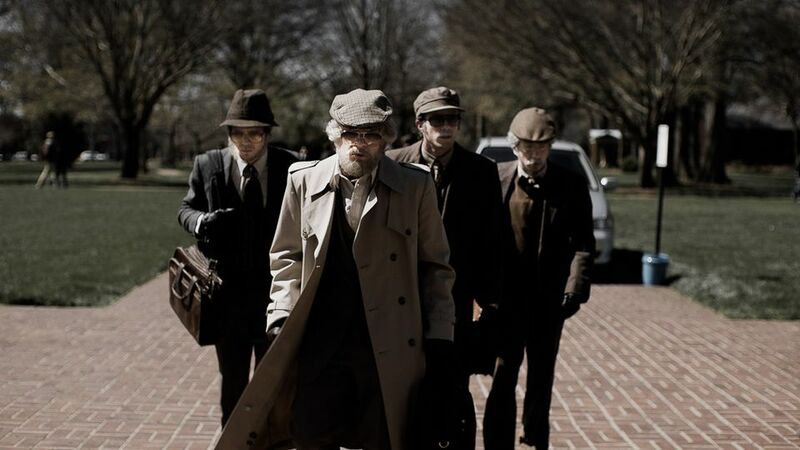 And in the category of dramatic fiction, American Animals builds its scripted story around a botched plot in 2004 to steal rare books by Darwin and Audubon at Transylvania University in Kentucky. The heist movie borrows from such classics as The Thomas Crown AffairReservoir Dogs, as four students are goaded by a manipulative frat-mate to disguise themselves as old men to steal the books and sell them at Christie’s New York. The five would-be thieves detain and beat a university librarian before they flee the campus, earning them seven-year prison terms. The director Barry Keoghan started off in documentaries, and this film’s most revealing moments come when it cuts away to interviews with the actual thieves—now aged around 30—as it re-enacts the crime. Most are contrite and humbled, but not the ringleader, who is studying film-making.